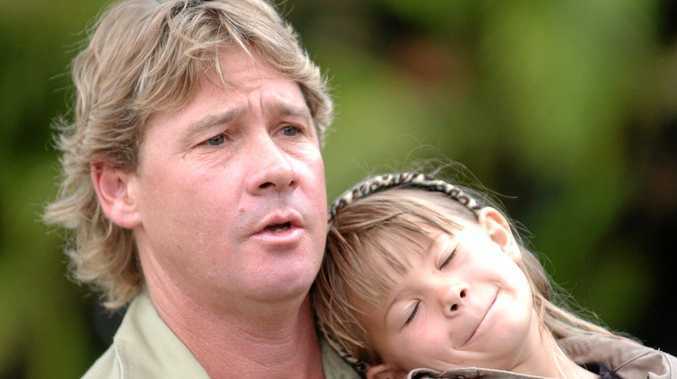 A DAY before the 11th anniversary of her dad's death, Bindi Irwin paid tribute to the iconic wildlife warrior for Father's Day. The 19-year-old conservationist, who has been following in Steve Irwin's footsteps since he was killed by a stingray in 2006, took to Instagram on Sunday to honour her dad. The adorable video features Steve creating a documentary alongside his then three-year-old daughter. "Call action," he whispers to her before she yells, "And, action!" 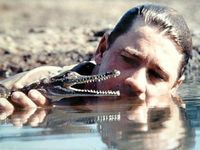 "One of the greatest honours while we're on this movie shoot is working with my daughter and the wildlife that's around here," he tells the camera. The famous activist then goes on to prove why his kids are still so passionate about wildlife, even a decade after his death. "Now everybody knows that bull ants bite and they bite hard but I'm trying to teach Bindi to be a wildlife warrior and love all wildlife, even the bull ants," he says. "Do you love bull ants, are they your friends? Do they bite you a little bit?" he asks her, as she enthusiastically replies "yes" to each of his answers. And when Irwin asks her why the bull ants bite people, a three-year-old Bindi replies with wisdom beyond her years. "Because they're scared," she tells her dad as Steve puts his hand down in the middle of the bull ant swarm. Then, after Steve's quick lesson on bull ants, Bindi bravely puts her hand down with the bull ants. 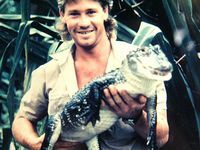 The heartwarming video proves exactly why the world was so enamoured with Steve Irwin and still is with his family. Alongside the video, Bindi added a Father's Day message for her late dad. "Life is always changing and evolving and I'll always be thankful that I learned so much from my dad. He taught me to treat every being on Earth the way you would wish to be treated. From the tiny ants to the enormous elephants," she wrote. "We are all connected and must respect each other to live in true harmony. I'll forever be thankful to have had these values passed on to me. Happy Australian Father's Day," she added. 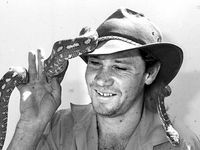 Steve Irwin, who was affectionately known worldwide as The Crocodile Hunter, died on September 4, 2006 after a stingray barb pierced his chest. 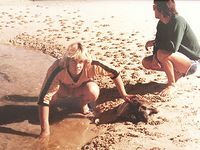 Irwin is survived by his wife Terri and his two children Bindi, 19, and Robert, 13, who have continued his charity Wildlife Warriors. "Dad was always so wonderful because he always said, 'I don't care if people remember me. I care if people remember my message,'" Bindi told US Weekly earlier this year.